SEM or Search Engine Marketing is a process of promoting webpage or websites so that they appear in search engine results when a user “searches” certain particular keywords on search engines. Also this form of online marketing is a paid form of digital marketing (which is different from search engine optimization or SEO in that fact that SEO is an “organic” and unpaid form of internet marketing). An example of SEM would be the featured results that appear at the sides and top of every first page of a Google results page (after you type in and press the search button for a certain, related keyword). The tricky thing about SEM is that it is mostly used in together with other online marketing techniques, the most common of which are PPC (Pay Per Click) Advertising and SEO. In some jobs, SEM is done in collaboration with social media jobs too. 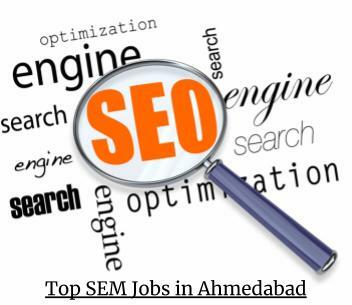 So, accord to current scenario there are a lot of digital marketing job opportunities available in India now, and although the digital marketing job trends in the country are emerging, if you want to make a career in SEM, it would be a good idea to become familiar with the other digital marketing techniques as well. 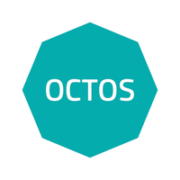 Octos is one of the fastest growing Digital Advertising agencies in Australia. We have our head office situated in Sydney, Australia and have a team of 40+ young and energetic professionals in our Ahmedabad Business unit. They are now hiring SEM Manager for their Ahemdabad branch. To know more click here. JURISCAPE LEGAL RESEARCH PVT. LTD. is the largest group of companies in the world dedicated to assisting professionals in their career-transition needs. With its headquarters in Pasadena, USA, and its global operations spanning US, UK and India, the company is poised for massive expansion and growth. To know more about this job click here. Data Tech Computers Pvt. Ltd.
From web designing to e commerce and from internet marketing to animation- we cover all needs with skill and proficiency. Looking for candidates with long term commitment for our clientele. To know more click here. Its a fast growing organisation in the field of HR services to its clientele. They are now hiring for their big client in Aemdabad. Currently they are looking for SEM consultant with 2-4 years of experience. To know more click here.